MUAS always scores well in employer rankings because our students gain a practical understanding of their field and relevant on-the-job experience. We foster the entrepreneurial, sustainable and international thinking needed in the professional world of today and tomorrow. The university has more than 18,000 students, but low average class sizes – so students benefit from close personal contact with faculty and staff. Our many special services for international students and scholars help them feel at home in our intercultural campus community. Our strong relationships and internship programmes with industry and business partners give students an easy start into their professional lives. Munich is an economic powerhouse, home to around 22,000 high-tech companies in automotives, electronics, engineering, telecommunications, aviation, and more. With a rich culture, fascinating history, and countless cultural activities Munich is a place where Bavarian traditions melt with international flair and a metropolitan lifestyle. International visitors feel comfortable in Munich, which hosts more than 500,000 people who come from outside Germany. Munich is a short distance from the breathtaking Alps, crystal-clear lakes, and fairy-tale forests, giving lots of opportunities for day trips and sports activities. 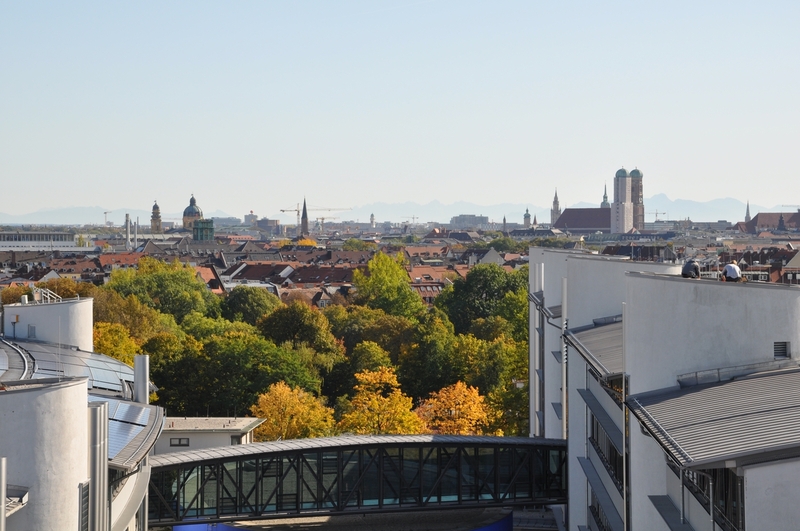 Munich is rated #1 in Germany for quality of life and is one of the safest cities in Europe.